Dr. Nelson graduated from WSU in 1990 and worked in Tacoma prior to returning home to the Tri-Cities in 1995 and a year later became an owner of Desert Veterinary Clinic. 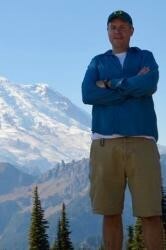 His hobbies include travel with his family, hiking, hunting and fishing. Dr. Thomé completed her BS and DVM degrees with honors at Washington State University. She practices small animal medicine including surgery, dentistry, and ultrasound. When Dr. Thomé is away from the clinic she is likely chasing her two boys, fishing, or training for a triathlon. Dr. Thomé represents Washington to the AVMA. Dr. Thomé began working at Desert Veterinary Clinic in 2004 and became an owner in 2012. Dr. Parbs graduated from WSU in 2007. She worked in Walla Walla for two years prior to joining Desert Veterinary Clinic in 2009. She enjoys treating cats, dogs, ferrets, rodents, guinea pigs and rabbits. Her hobbies include horseback riding, gardening, skiing and traveling. 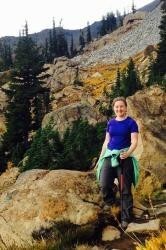 Dr. Neuhaus graduated with her BS and DVM degrees from Washington State University. Her areas of interest include small animal medicine, surgery, and animal behavior. 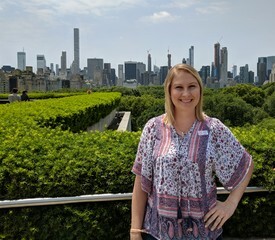 Her hobbies include cuddling up with her two cats to read a good book, and spending time outdoors hiking and camping with her husband. Exciting News! 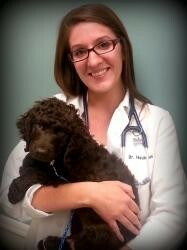 We are about to welcome a new veterinarian to our practice! Dr. Nicole Goodman will begin seeing patients in mid July. 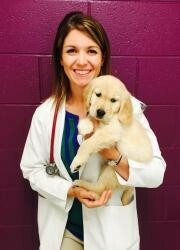 Dr. Goodman graduated with her DVM from St. George's University. Her areas of interest include small animal medicine, surgery, and ultrasound. She also enjoys working with pocket pets. During her spare time she enjoys hiking, traveling, scuba diving, and boating with her family.